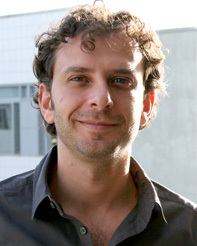 Alberto Dainotti is a Research Scientist and a Principal Investigator at the Center for Applied Internet Data Analysis (CAIDA), San Diego Supercomputer Center, at UC San Diego. He received his Ph.D. in Computer and Systems Engineering in 2008 at University of Napoli "Federico II", Italy. His research interests are in the field of Internet measurement, focused on the analysis and live monitoring of large-scale Internet events with security relevance, including analyzing the Internet effects of political instability, large-scale security scanning activity, macroscopic Internet connectivity disruption and traffic manipulation. He co-authored about 40 scientific papers and is regularly invited speaker at conferences, workshops, and operational meetings (DARPA, FCC, ISOC, RIPE). He serves for the European Commission and the National Science Foundation as an independent expert evaluator of project proposals. In 2012 he was awarded the IRTF Applied Networking Research Prize.